From AD 100, the end of the apostolic period, to about AD 600. what happened in that period was incredible because Christianity explodes into the world. In 100 A.D. they had no idea of a canon of Scripture. The New Testament had been written, it just had not been completely circulated and brought together in a canon. The word “canon” means a rule or a standard. The canon was developed over a period of years. It took about 200 years before the New Testament was really brought together and recognized as the 27 books of the New Testament that we have today. By AD 600 there was the 27-book canon and it had also been translated into other languages besides Greek. In AD 100 there was no hierarchy, there was only a very informal church structure in the groups that were scattered throughout the empire. By AD 600 there is a formal structure and a hierarchy who looked to the bishop in Rome or the patriarch in Constantinople as the final authority. In AD 100 there are no creedal/doctrinal statements, no technical theological vocabulary outside that which was in the New Testament. They had no word for Trinity, no word for the hypostatic union, no concepts for describing certain theological and doctrinal concepts other than just those words that are used in the New Testament. By AD 600 there are several formal creeds and a technical theological vocabulary. In AD 100 they believed in a literal interpretation of the Scriptures and they were pre-Millennial. 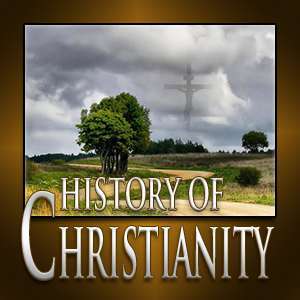 By AD 600 they no longer believed in a pre-Millennial return of Christ and they no longer believed in a literal 1000-year reign of Christ; they based that on an allegorical method of interpretation. So we can see that there were a lot of changes in that 500-year period. What took place to bring about those changes and in many way a decline in Christianity away from the truth of the New Testament?